There are pluses and minuses to living in Paris. Minus, you’re in the #2 most expensive city to live in in terms of cost of living (Chicago, you’re #6). Pluses? The food, bien sûr. The concert life; a healthy mix of everything from everywhere. The art scene; traditional and eccentric. 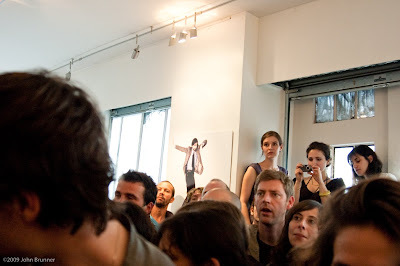 Two of those three converged for all of last week up at a small gallery in Montmartre where former Pulp singer, Jarvis Cocker, installed himself in promotion of his upcoming Further Complications album. In the search of, “What is music?”, he and his band was put on display to the public for six hours each day completely free. I had the opportunity to sit in on Friday and Saturday, photograph and write a little for Radio Free Chicago on the utterly unique opportunity that presented itself in this incredible city. The write-up/article is linked below. 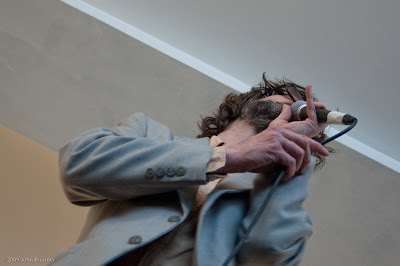 And on Friday (May 15th), Jarvis unveiled the video for Angela shot during this event.